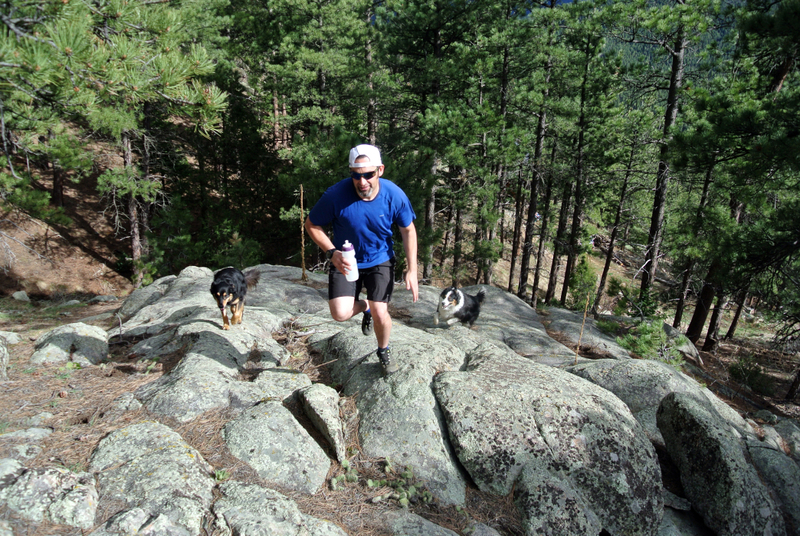 When considering a quality trail run or brisk hike to give your brain as much of a work out as your feet, Boulder’s rocky foothills are the place to be. Going light and fast requires the right gear, so keep your feet nimble with a grippy pair of versatile day hikers, such as the La Sportiva Synthesis Mid GTX found at REI. Sturdy enough for pounding along the trail but light enough to feel like a running shoe, these types of light hikers are perfect for Boulder—and the Gore-Tex lining helps keep feet dry during shoulder season snowmelt. And if the shoe designers were looking for the perfect course to put their footwear to the test, the Bear Peak-South Boulder Loop is the ideal pace to punish a new pair of day hikers. It's 8.8 miles and has 4,040 feet of total elevation gain. This burly loop is a local favorite, especially for mountain running groups that want to push their endurance without having to leave their backyards. Start your route at NCAR’s free parking at the western terminus of Table Mesa Road. The first section of trail is a well-worn, dusty, and rocky path that is pretty tame by Boulder standards. Don’t worry, that will change. 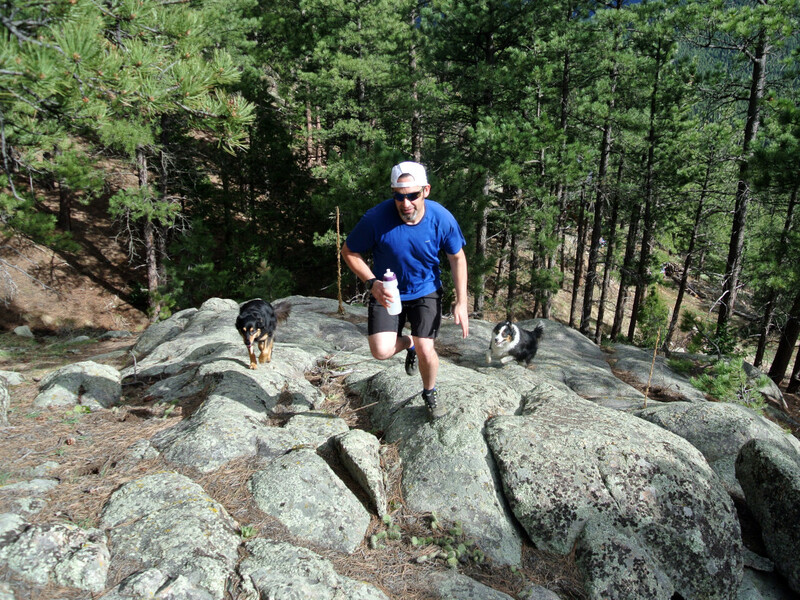 A brief, 0.5 mile trail from NCAR connects with the Mesa Trail, where the real fun begins. Follow it south (left) 0.8 miles along a wide path to the junction with the Bear Canyon Trail. Here, the trail turns to singletrack for 1.8 miles and wanders through vanilla-scented pine forests and small alpine meadows. Black bear sightings are fairly common here, so make sure to wear bear bells, especially if running solo. The bear population isn’t looking for trouble and are fairly used to humans, but if you see one, give it space and consider turning around if the bear is holding its ground! Assuming you have avoided an ursine encounter, turn left into the Bear Peak West Ridge Trail. This 1.8 mile path goes to the top of 8,459 foot Bear Peak. As it climbs, the trail gets more rugged, especially once it enters the ghostly burn zone. The charred forest increases the steepness as the trail grinds up the rocky, robust west ridge. Soon, even the gnarled trees give way to a brief but steeper-still boulder field—this is likely the most difficult part of your run. 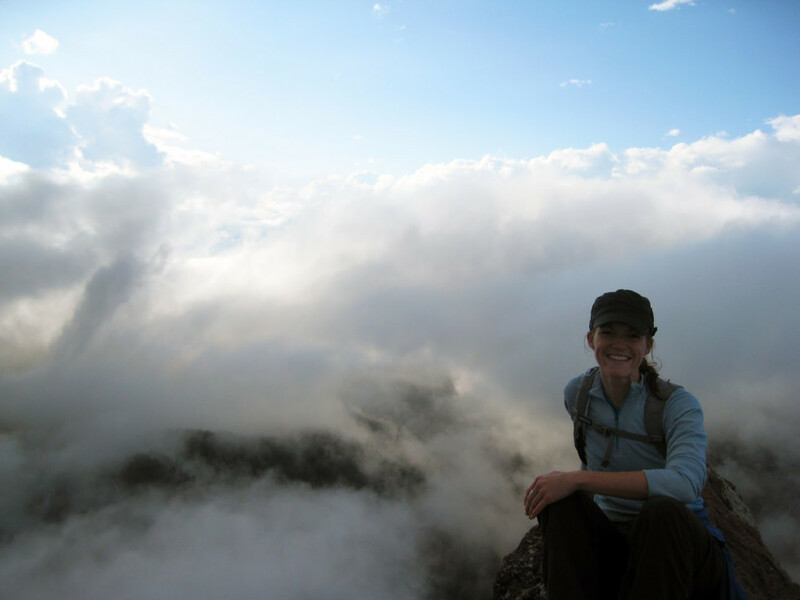 You’ll traverse under the summit blocks of Bear Peak before heading left to the start of the summit scramble, a short, 200-foot clamber on solid, iron-rich rock. It’s exposed but the difficulty is either Class 2+ or easy Class 3 and it’s quite brief. Soak in the views, then charge over to South Boulder Peak (8,549 ft.). Return to the Bear Peak West Ridge Trail but instead of descending, stay due south along towards Shadow Canyon. The trail here has plenty of embedded boulders, so sticky soles are quite helpful. After reaching the Shadow Canyon Saddle, continue up through another burn zone along an established, stone-strewn trail to the top of South Boulder Peak. The two summits are only 0.8 miles apart but offer a good workout to traverse the two. The last outcrops on South Boulder Peak require some boulder-hopping to reach the highest point. At about 4.5 total miles, you’ll have reached the highest point in your run or hike—the fun continues. 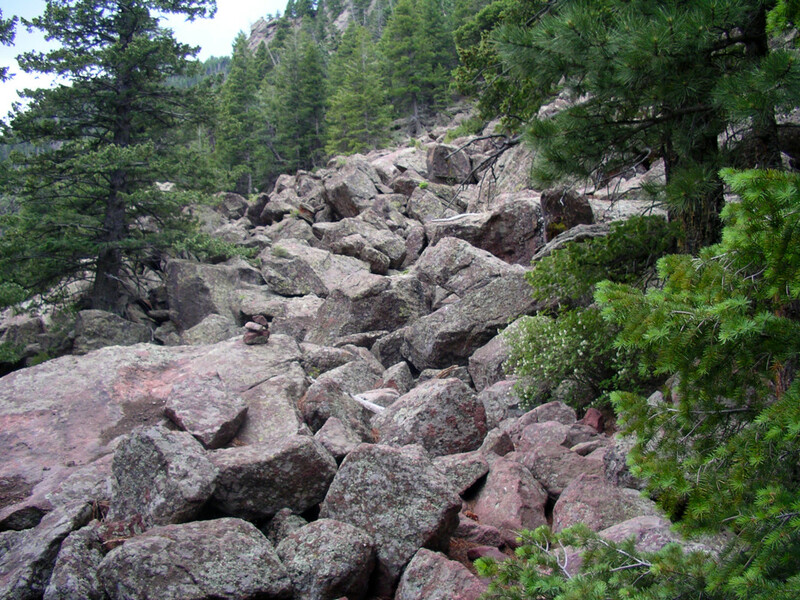 The trail down Shadow Canyon is very rocky and be challenging for many hikers. Return to the Shadow Canyon saddle and take the Shadow Canyon Trail down. This descent is just over two miles through an array of boulders, switchbacks, stone staircases, and the occasional moss-encrusted log. Trail runners will have to stay light on their feet—a faceplant on the Shadow Canyon trail is going to hurt. You will drop 2,000 feet before reconnecting with the Mesa Trail six miles in. From here, the Mesa Trail rolls below the peaks you’ve just ascended 2.8 miles north through quiet pine forests. There are a few abrupt hills but most of these are pointed down! Eventually, you’ll close the loop and bypass the Bear Canyon Trail and from here, it’s one final, uphill push back to the NCAR parking lot. 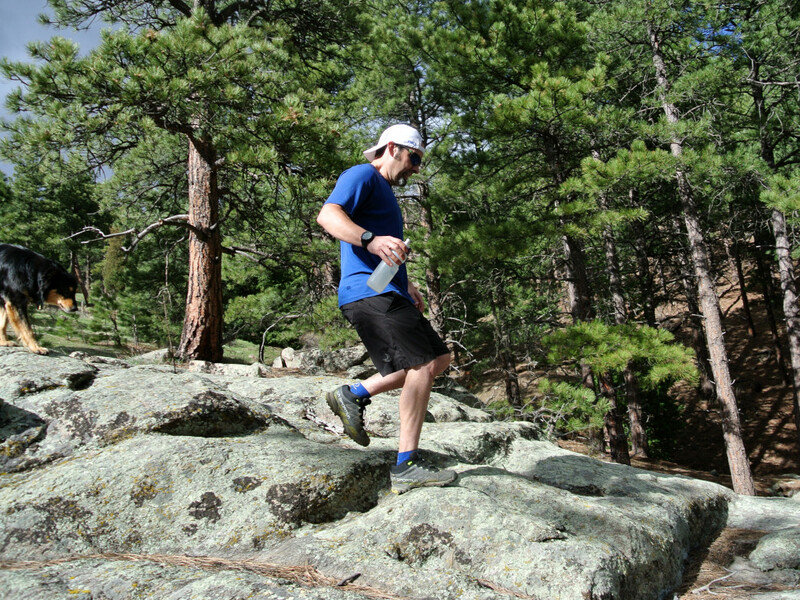 There are many mountain runs in Boulder, but this one offers a variety of solid, challenging terrain and passes through two ghostly burn zones, all the while alternating between sunny, exposed ridges and shadowy canyons. It’s not for the faint of lungs, but if you’re ready to challenge this local loop, the mountain are waiting.